Simple with a twist. We have added this scoop neck dress to our pattern collection for its classically cool ease. 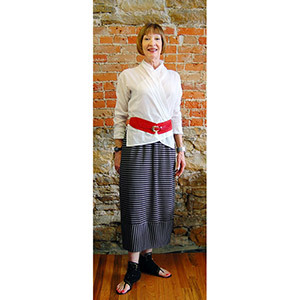 The band at the hem gives this easy shape a different look. 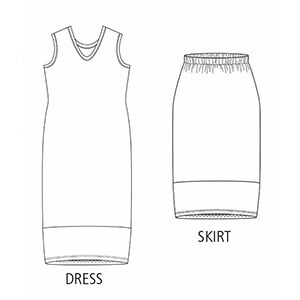 This versatile dress can be made as a skirt, too! 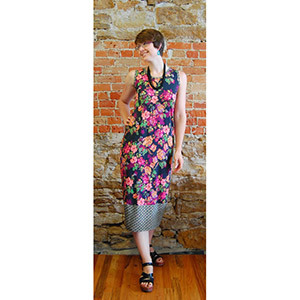 This pattern is available in sizes XXS to XXL. 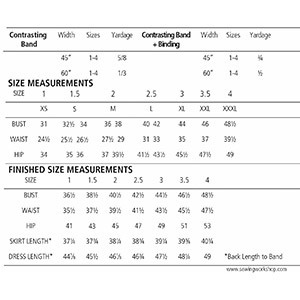 Suggested fabrics are cotton jersey, cotton lycra, lycra spandex, or brushed poly spandex.